Tuesday, January 3 from 9:00 p.m. until 10:30 p.m. Begin the New Year in musical fashion at the Singer Songwriter Showcase presented by Mar Creation and CRS. 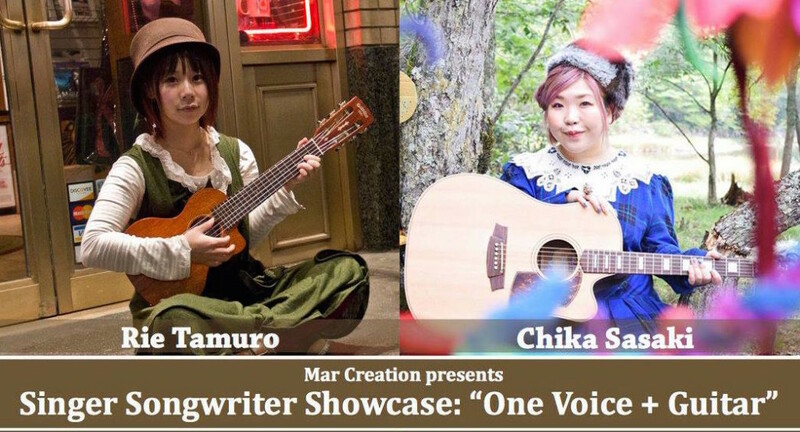 Charismatic singers/songwriters/guitarists Rie Tamuro and Chika Sasaki will perform CRS’s first concert of 2017. 23-year-old Nara native Tamuro began playing the guitar at age 14, performing on the streets and at shows. Now based in New York, Tamuro has written more than 150 original songs ad has performed at clubs such as Silvana, the Shrine, and Bowery Electric. For more information, please visit CRS’s website.